Has Pixar Aligned With Intelligent Design In the ‘Cars’ Universe? Apparently Mater is the only one. Is this a coincidence or does Disney/Pixar think they’ve got a winner on their hands? It’s interesting to compare it to Tangled…. 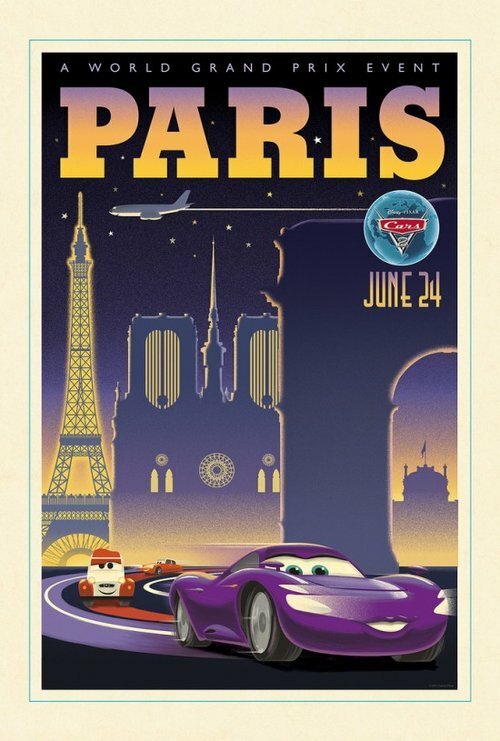 Has Pixar Jumped The Shark With The Posters For Cars 2? Via: The Animation Blog Some say the bigger question is whether Pixar will jump the shark with Cars 2 itself, but it is still too early to tell….